The course was designed by Dr Dimitrios Gerogiorgis as part of a long-term partnership with Atkins Ltd, who also have offered guest lectures, student fellowships and industrial placement opportunities. It has also been shortlisted for the IChemE Education and Training Global Award. 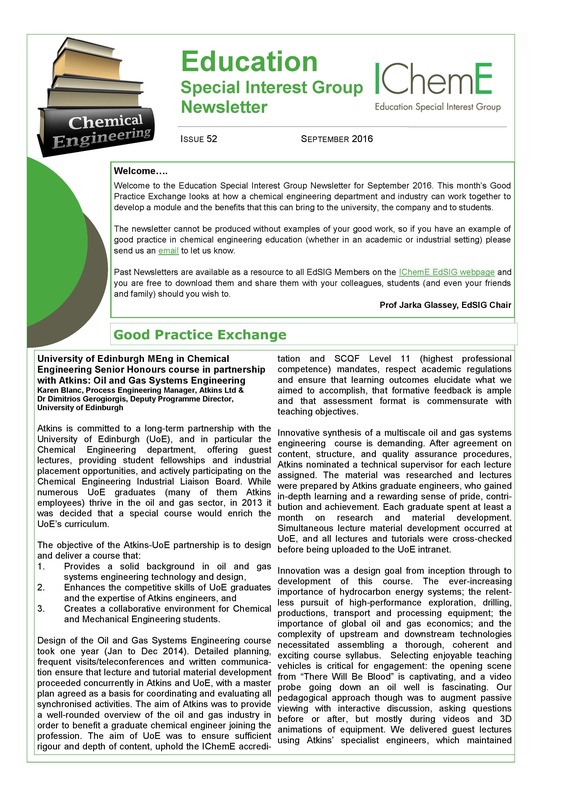 The newsletter looks at how a chemical engineering department and industry can work together to develop a module and the benefits that this can bring to the university, the company and to students.